Help Unidos De Sydney to be the very first to replicate a Brazilian carnaval parade in Australia. The 2019 UDS Carnaval Parade is taking place on MARCH 15TH 2019. UDS will be the opening parade act of the Parramasala Festival which is the signature event celebrating the diverse and rich cultures of greater Sydney and New South Wales. Unidos De Sydney (UDS) will be replicating a Brazilian carnaval samba school parade format in Australia. A traditional Brazilian carnaval parade has its own official theme song and is made up of many parade sections, each with its own purpose that contributes to the overall look and feel of the parade. All members of the public are welcome to register to parade with UDS. We have sections that are choreographed and some that are free form. We even have a parade section for kids. Leading up to our parade we will have a series of rehearsals and workshops called ensaios where the participants come together to learn the words of the song, get to know one another and improve their skills. UDS is completely non-profit. All activities, events and merchandise are provided at cost or free. UDS wants to minimise the costs for people to experience Brazilian arts. 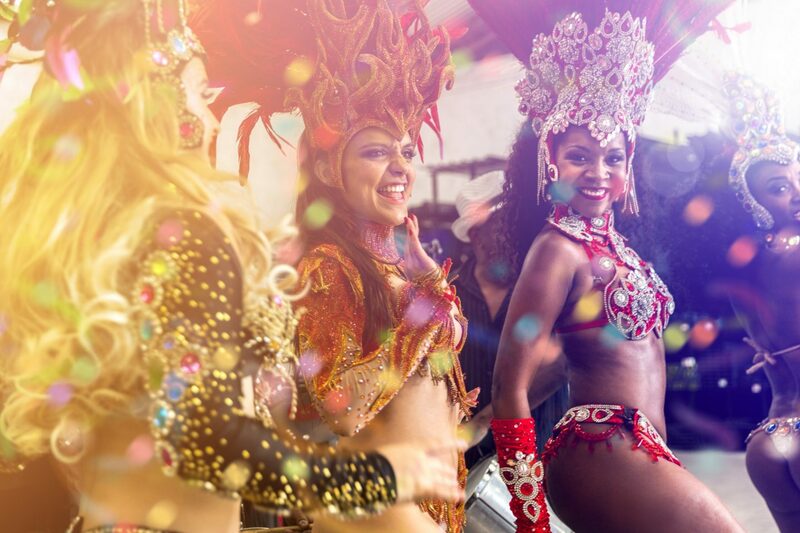 There are no non-profit samba organisations providing an inclusive space for artists and community to collaborate, share knowledge, engage in artistic expression and learn about Brazilian culture. UDS meets this gap. UDS was unable to secure grant funding to help with delivering the ensaios and donations will help UDS with flying our Carnaval ‘Queen’ and our Mestre over from Brisbane to help us host the rehearsals. We need help to deliver high quality ensaios and ensure that participants, or any member of the general public that wants to come along, will learn new skills. Donations, funding, sponsorship and partnerships are important to UDS to ensure that we can make samba accessible and affordable in Australia. If we meet our funding targets, the ensaios will delivered free of charge/ by donation and be fully inclusive for all those who want an opportunity to learn more about Brazilian culture. WE REALLY APPRECIATE YOUR SUPPORT. Supporting samba is supporting creativity and community. Unidos De Sydney Samba School (UDS), which means United Sydney, is a non-profit arts and cultural project. 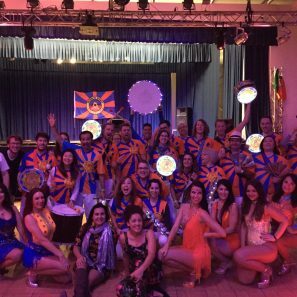 Our mission is to bring together drummers, dancers, musicians, and the community to experience the passion, energy and creativity of Brazilian arts through our regular samba practice sessions, events, workshops and an annual carnaval (carnival) parade.